’83: Ranveer Singh and Co having blast as they prep for the shoot of the film! New Delhi: After giving back to back hits, Ranveer Singh who is at ‘top of the world’ right now have been shooting for ’83 in Himachal Pradesh, where the young superstar will playing the role of legendary cricketer Kapil Dev. The actor had already begun the training with former Indian cricketer Balvinder Singh Sandhu who said that Ranveer needs to work on his bowling skills for Kapil’s role. Bollywood actor Saqib Saleem, who has made his presence felt in movies like Dishoom, Hawaa Hawaai, Dobaara: See Your Evil, Race 3 and more, turned a year older today. The actor, who is currently shooting for Kabir Khan’s ’83, celebrated his birthday on the sets of the film with his entire team. He has been sharing several photos on his social media from Dharamshala, where he is training for his role, for the Kabir Khan directorial. Meanwhile, Ranveer recently shared a video where he is practicing the classic natraj shot alongside Kapil and he couldn’t help but flaunt some of what he is learning. And while he posted the video, wifey Deepika Padukone, who is currently busy shooting for her upcoming film Chhapaak, wrote down a sweet piece of advice for him. 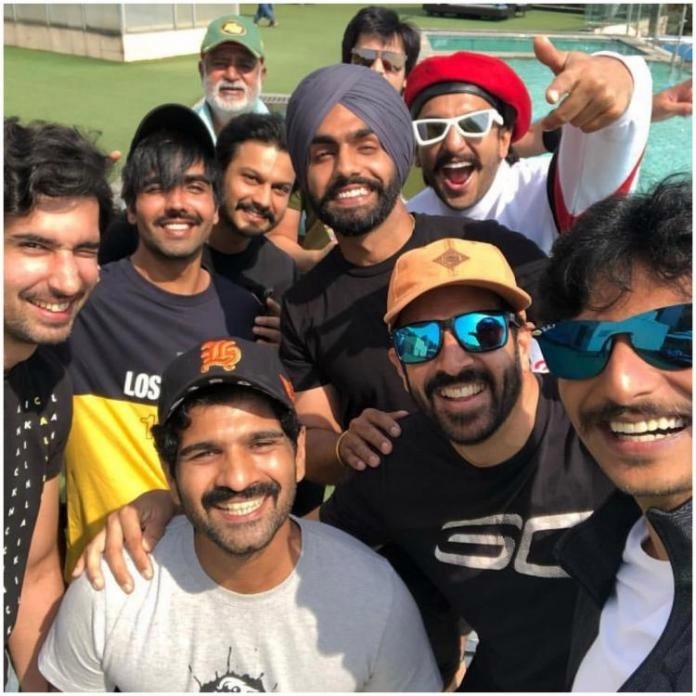 '83: Ranveer Singh and Co having blast as they prep for the shoot of the film!